Cardiff Business Improvement District (BID) and the Cardiff Street Pastors have joined forces to keep the capital city’s revellers safe at night with a new year long partnership. As part of its commitment to improving the city centre, Cardiff BID has promised funding of £20,000 for the next year to ensure they can continue to provide valuable safety support to night time revellers. Established in November 2016, Cardiff BID covers 130 streets across the capital city stretching from Principality Stadium to Newport Road and Butetown to Cathays. One of the largest BID areas in the UK comprising over 950 levy payers, the Street Pastor funding is just one of the many programmes the BID has planned for their five-year strategy to make the city more welcoming, vibrant and influential. The most immediate and pressing activity will be their increased presence during the Champions League Final weekend, where the Street Pastors have committed to increased patrols on Thursday and longer patrols on the Friday and Saturday nights to support the thousands of visitors set to hit the city. Since 2008, the Street Pastors have been a welcome presence on the city’s streets every Friday and Saturday night; There are now over 60 Street Pastors working in Cardiff and in the last year alone they have given out more than 1,300 bottles of water, 1,000 pairs of flip-flops and removed 4,000 glasses and bottles from the streets. The Pastors work until the early hours of the morning every weekend making sure partygoers are safe at the end of their night. 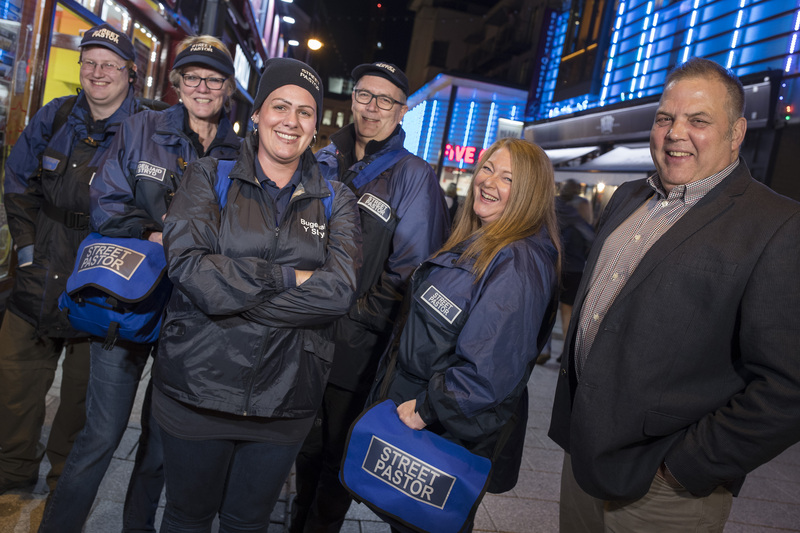 The BID’s partnership with Cardiff Street Pastors comes just one month after Cardiff BID appointed seven new Street Ambassadors to offer assistance to businesses and tourists in city centre. The team of Street Ambassadors will also be on the ground to help Street Pastors across the Champions League Final weekend.